B.A. 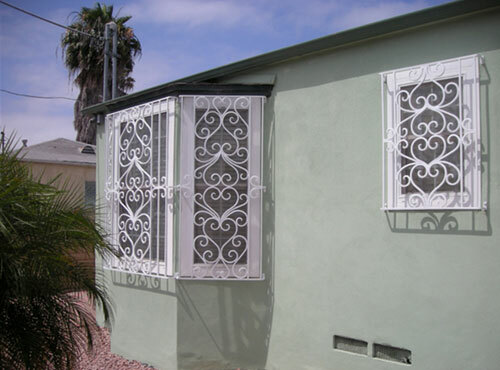 Ramirez & Sons Ornamental Iron Works, Inc. is qualified to design, hand-forge, and install custom iron window guards for residential and commercial clients throughout San Diego County. We have more than 30 years of experience, thousands of satisfied clients, and knowledge of all applicable building codes. With our expertly crafted window guards, you'll improve security at your property without having to compromise on the safety or beauty of your home or business. Our window guards are thoughtfully designed to be sturdy, long lasting, and reflective of each customer's unique set of preferences. You can choose from tube or solid iron; smooth or hammered hand-forged bars; and 100s of powder coat finish colors. We can replicate a design you've seen elsewhere or develop a new design based upon an idea or a collections of photos you like. As we work with you on the design, you can trust that we'll make you aware of any structural concerns, opportunities to save money, and ways to get the best results for your budget. 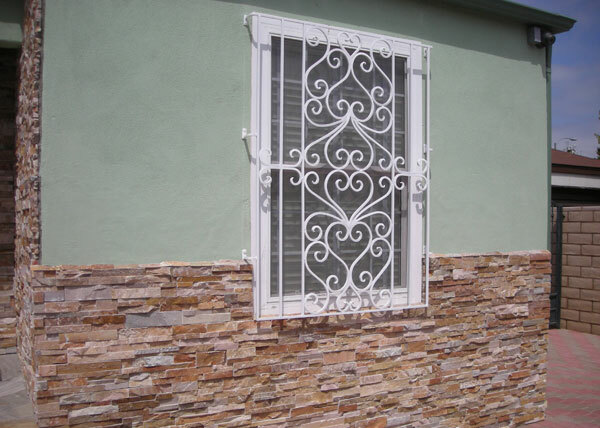 As with all of our ironwork, you have the option of finishing your window guards with an anti-corrosion finish, by either having them metallized, hot-dipped galvanized, or baked-on powder coated. In any case, your window guards will automatically feature a quick-release mechanism to enable a quick escape in the event of a fire. Call today for a free consultation and quote. We're open Monday through Thursday, from 8am to 4pm, and on Fridays from 8am to 2pm. Most projects are completed in about three weeks, and we back our steel window guards/security bars with a two-year warranty for both labor and materials. B.A. 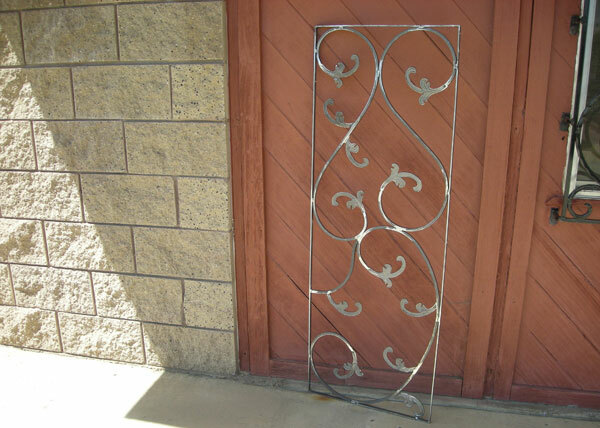 Ramirez & Sons Ornamental Iron Works, Inc. is fully licensed, bonded, and insured. 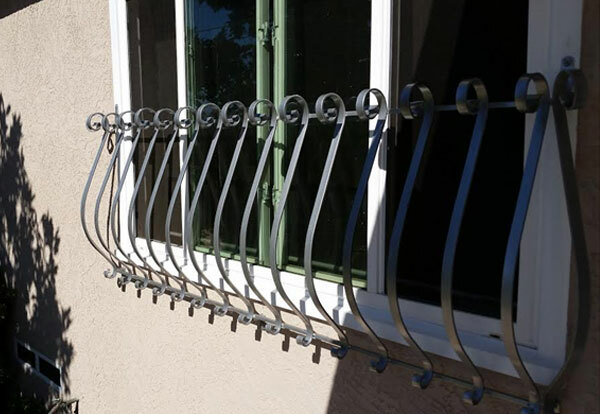 Iron window guards are an elegant, simple, and cost-effective way to improve security at San Diego homes and businesses. Completely customizable. Popular styles include straight bars with cast designs (e.g. oak leaves, rose leaves, etc. ); hand-forged/hammered balusters with or without decorative points; heart scrolls, fleur de lis, and modern designs; and more. Always built with code-approved fire releases. Compliant with all applicable building codes. Two-year warranty on steel construction.